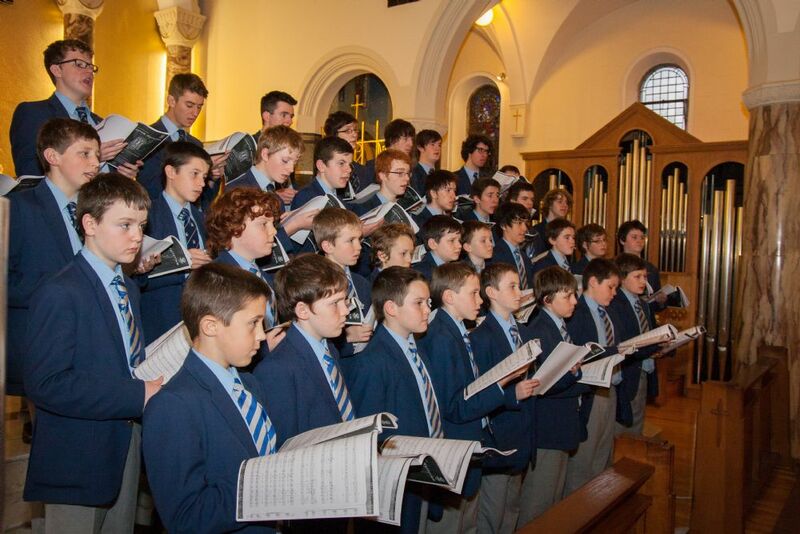 The choir of St Colman's College, Newry has been actively involved in music making both at a local and national level since its formation in 1987. Throughout that period it has accepted invitations to work with St Georges Singers, Belfast and the Ulster Orchestra. In 1995, the choir accepted an invitation to the Irish College, Paris and Le Bec-Hellouin, mother house of the Benedictine monks of Holy Cross Abbey, Rostrevor. The choir of St Colman's College has extensive experience in broadcasting for both radio and television. It has taken part in six BBC Radio Ulsters Morning Service broadcast live from the College Chapel and St Brigids Church, The Meadow. The trebles have performed live in BBC Broadcasting House as part of BBC Radio Ulster's Sounds Classical. The choir has also recorded with BBC NI TV for the programmes O Little Town and Our Wee World. The choir of St Colmans College were winners of the Southern Grammar School Regional Heat of the UTV School Choir of the Year 2005. In that same year, they were invited to take part in the 20th anniversary of Sing Carols which was broadcast on BBC NI television and Radio Ulster. Their live BBC Radio Ulsters performance of Elaine Agnew commissioned work blessed was used on the promotional CD for the European Chamber Orchestras educational programme throughout the European Union. On December 8, 2012 the choir linked up with past-pupil and form choir member Matt McGinn for a concert in Newry City Hall. A distinctive feature of the boys work is an observance of the schools traditional link with the Diocese of Dromore. Pupils and past-pupils make a valuable contribution to church music throughout the diocese and beyond and the choir itself serves liturgies at a diocesan level. In September 2010, it was a considerable honour to provide music for the funeral of Dr Francis Gerard Brooks, Bishop Emeritus of Dromore. Organ students of the College also provide music for Sunday liturgies at Holy Cross Benedictine Monastery, Rostrevor.